If you would like to visit our office, feel free to contact us today at (405) 601-0700. Dr. Maynard and Jennifer are great people! The office is easy to find, nice and cozy and the service is outstanding! Don’t bother calling anywhere else. You won’t regret trusting Dr. Maynard with your health. Call Jennifer and schedule your appointment now! 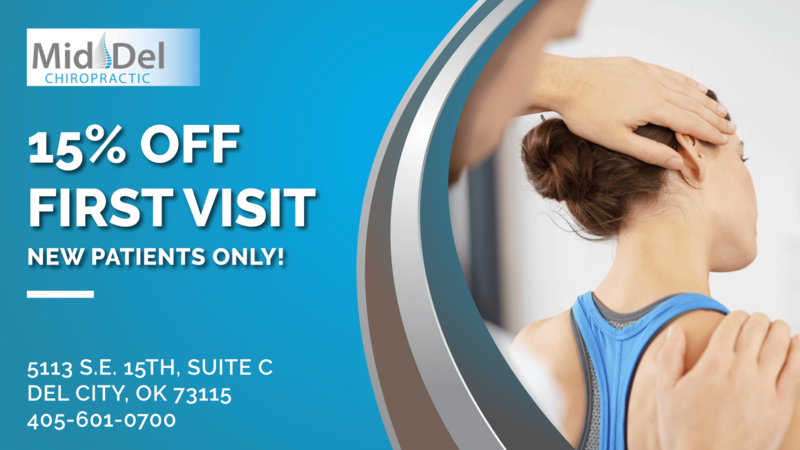 At Mid-Del Chiropractic, we offer a variety of services to care for your body. Our goal is to help you receive the proper care after a personal injury, auto accident or fall.